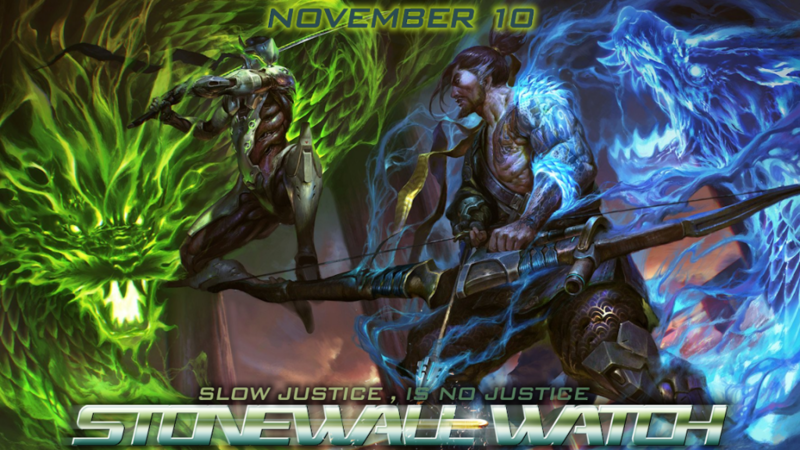 We're inviting all Stonewall Overwatch players to join us, the #StonewallWatch, this coming Saturday, November 10th at 2:00 PM EST (click here for your timezone), for a few hours of private invite queues, open only to Stonewall members and friends. Depending on our numbers, we'll play some free for all Deathmatch, Team Deathmatch, Capture the Flag and other fun games! We're not planning on jumping into the public queues, so you can relax, and have some stress-free, non-competitive fun with other members of the community! We'll invite you to chat with us on Discord as we stream some of our gameplay on our SGN twitch channel and may also give away a few prizes! Haha, lining up your excuses for poor performance already, I see. But seriously. Use your other hand. I can make it for a couple of hours before work. I will be there with bells and whistles on! Alrighty - we'll see all who gathers and go from there!